Coordinators: Augsburger Larry L., Hoag Stephen W.
Pharmaceutical Dosage Forms: Capsules covers the development, composition, and manufacture of capsules. Despite the important role that capsules play in drug delivery and product development, few comprehensive texts on the science and technology of capsules have been available for the research and academic environments. 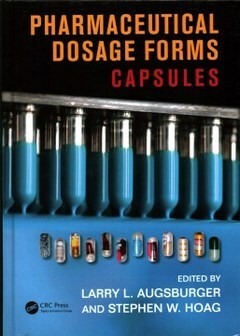 This text addresses this gap, discussing how capsules provide unique capabilities and options for dosage form design and formulation.